With its rich historical and cultural background, Dipolog City is one of the top travel destinations in the country. It is accessible via air, sea, and land travel. The closest airport from Dipolog City is the domestic Dipolog Airport. Major airlines fly daily to Dipolog City. Dipolog can be reached by ferry at the nearby Pulauan Port in Dapitan City. The construction of a roll-on/roll-off facility at Barangay Galas will allow for the eventual transfer of the service to Dipolog while retaining inter-island operations at Pulauan, which is soon to become a base port. The second closest airport to Dipolog City is Ozamis Airport. You may take a flight to Ozamis City from Cebu or Manila and take the Dipolog-bound bus. The travel time is around 5 hours and fare for airconditioned bus is around P250.00 and non-air at around P190.00. From Cagayan de Oro, take a Rural Bus going to Dipolog City. Travel time is around 9 hours and fare is P475 for airconditioned bus, and has short to long stopovers along the way. Take a Rural bus to Cagayan de Oro City. Travel time for a non-stop night bus is 7 hours and fare is P600.00. From Cagayan de Oro you can transfer from Agora Terminal to Bulua Terminal and take a bus bound for Dipolog City. From Zamboanga City, take a Rural Bus to Dipolog. Travel time is around 8-9 hours and fare is almost P500. 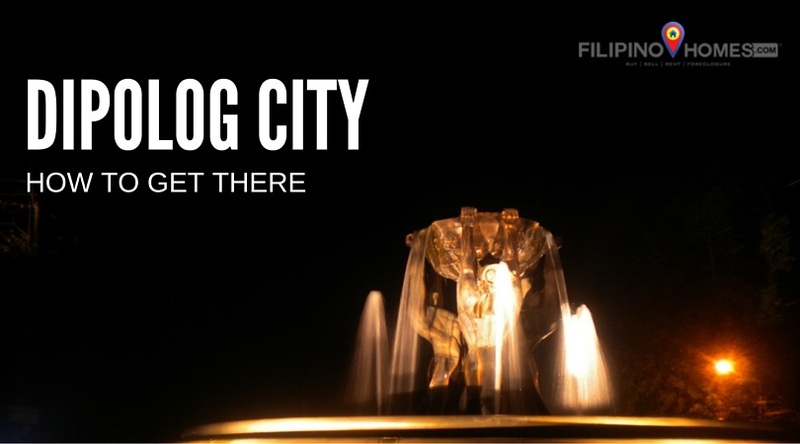 Whether you’re planning for a short stay or visit, join one of the must-see festivals, or you plan to check out all tourists destinations in the city, you will find that Dipolog City is best explored like a local would.